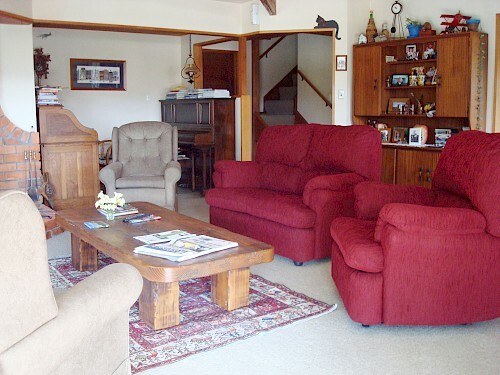 Set in beautiful tree fern and bush surroundings, complete with birds, this Picton B&B accommodation is very comfortable, peaceful and inviting. 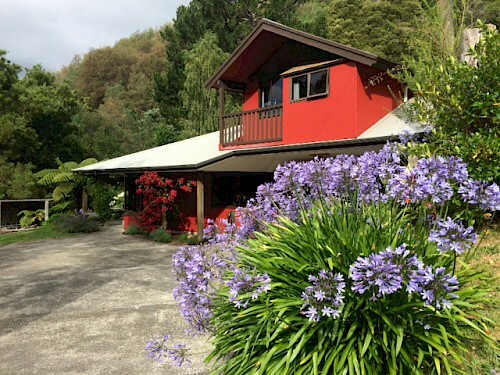 Very quiet, yet only 1km from Picton Village with its many restaurants, shops, and walking tracks, Interisland ferries and tourist operators ready to take you into the Marlborough Sounds, onto the Queen Charlotte track. Retreat Inn, set on a rambling section with fruit trees and a small stream at bottom of the garden, has two warm guest bedrooms, one with ensuite (bath and separate shower) the other with private adjacent bathroom. All firm base beds, with electric blankets. Your Breakfast is continental - fresh fruit salad (if in season, homegrown), fruit juice, choice of cereals and teas, brewed coffee, toast and homemade jams. Gluten free Breakfast option is on offer. Please advise. Retreat Inn Bed and Breakfast has a two night minimum stay. The area has much to offer so longer stays are recommended. One queen bedroom with ensuite (bath & separate shower). One queen bedroom with private adjacent bathroom. Less than a 5 minute drive from Picton & the Ferry Terminal. Secure, flat, off street parking.